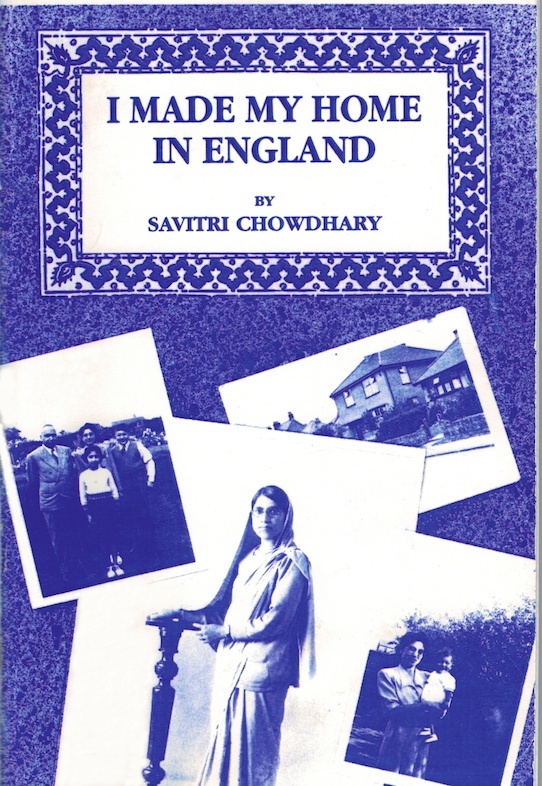 Published by SAVITRI CHOWDHARY and Printed in Great Britain by GRANT-BEST LTD., Durham Road, Laindon, Basildon, Essex, England. I have just ordered from Amazon. Your Mother would have a fit if she saw the present day rarity value! So sorry Amazon are charging a lot for this Mary. I have a few copies and will be happy to send you one if you have not ordered this yet and if the webmaster will be good enough to pass on your details to me and mine to you. It would be nice to e-mail each other about our memories too! So glad you still have the tablecloth after all this time. Hope to hear from you soon. Editor: Hello Shakun, I will contact Mary and Betty as requested. I am so glad to see this and will try to get a copy. We still have the tablecloth she gave us as a wedding present 42 years ago. My father’s aunts ran the nursing home in Langdon Hills and were very friendly with the family. 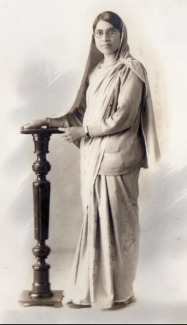 David Osborne former Langdon Hills resident, who until their death was in touch with the aunts, has very kindly sent me a lot of the aunts photographs and includes ones I feel sure are of the Chowdhary family in their garden, they look to be happy days! A lovely little toddler is pushing a wooden horse. Thanks to Ian Mott Webmaster for putting the whole of my mother’s memoir on the website. I do hope people will enjoy reading it and it will prompt many memories of both happy and difficult times in Laindon. A fascinating read indeed, I worked at Grant Best around the time this was published though I had no input to it. Dr Chowdhary was our family Doc until his untimely death and we found him a fine doctor and a great bloke. The book is a great insight at a new migrant take on life in England in the Thirties and onwards. What a culture shock that must have been to Savitri !! and she overcame it all to become a loved part of our community, good on you Mrs C. may you rest in peace with your beloved husband. Thanks for posting this Ian, and thank you Shakun for providing the book for our enjoyment, God bless, from Australia.